You’ve touched down in tropical Thailand- you’re excited for impending adventures with elephants, lounging on beautiful beaches, trekking through lush jungles and making new friends. You you reach for your phone to let everyone back home know that you’ve arrived and maybe to snap a selfie to post on social media. But wait! You’re service-less and airport wifi is a bummer. Below is your step by step guide to getting excellent (and cheap) cell service in the Land of Smiles. Krista Stelzner, assigned to the U.S. 7th Fleet flagship USS Blue Ridge, snaps a selfie with a Thai girl during a community service event at The Child Development and Protection Center in Huay Yai, Thailand. Bringing your pre-existing service overseas can be inconvenient and can cost an absolute fortune in fees. So consider having your phone unlocked from your service provider before you board your flight. It only costs a small fee, and that way you can get a Thai sim card instead. Also! Know your phone. You may not be aware, but different phones carry different size sim cards. iPhones generally take nano SIMs and Androids may take micro SIM cards. Before you leave, quickly Google your phone model and check- they may also be able to tell you at any provider booth in Thailand. All size sims are available in Thailand. Some travelers would like to keep their current number, which requires that they turn on international roaming. Before doing this, contact your provider and ask about charges you’ll rack up for data and service roaming. You may also want to ask if they have any partner networks in Thailand. I don't recommend roaming because it can get pretty pricey, and buying a SIM at either the airport or at a provider shop is a quick, cheap and reliable alternative. If you’re staying in Thailand for a week or less, getting a plan at the airport is likely a good choice. There you can find tourist targeted plans that provide internet, calling and texting for shorter time spans. For longer stays, it is be a better idea to get your phone plan directly from a provider store or from a provider’s booth at a local mall. There you can find a more flexible range of plans that that will suit your needs at a lower price. Generally, purchasing a SIM will require a passport, as most providers register the card under your name and passport number. 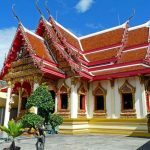 You may not be asked at smaller locations or stores in more obscure parts of Thailand, but this registration practice is still the general procedure, so be sure to bring your travel documents with you. There are three main cell service providers in Thailand: AIS (also known as One-2-Call, DTAC and Truemove. All offer ‘pay as you go’ deals for short and long term travelers and have 3g/4g capability. Popular plans include daily, weekly and monthly deals that suit pretty much any traveler’s schedule. 1. AIS: daily unlimited internet (19 THB); weekly unlimited data for varying speeds (from 79-89 THB) and monthly data- 5 GB (488 THB/month); 14 GB (888 THB/month). Calling plans start at 9 THB per day. 2. Truemove: daily unlimited internet (15 THB); weekly data for varying speeds from 55-199 THB depending on amount used; and monthly data ranges from 199-899 THB/month, depending on amount used and speed. Unlimited monthly starts at 599 THB. Calling plans start at 13 THB a day. 3. DTAC: daily internet ranges from 19-49 THB depending on amount used; weekly unlimited internet is 59 THB; monthly internet ranges from 299-799 THB; depending on amount used. Calling plans start at 29 THB a day. While DTAC is most friendly to Western users in terms of customer service, Truemove provides the most wifi hotspots across Thailand, which is fantastic for travellers on a shoestring budget. Adding money to your phone plan- also referred to as ‘topping up,’ is very easy and convenient as it can be done at any 7/11, at the provider’s store or even at a Boonterm kiosk on the street. Additionally, choosing a plan is extremely simple. You can call the provider’s customer service, who will give you a code to dial in and activate immediately. The cost of the plan your select will be deducted from the amount of money you’ve added to your number through the top up process. In recent years, most providers have also started to offer an app that makes choosing a call, text and/or data plan a snap. You may also be able to find promotional codes for phone plan deals, which is always helpful if you’re on a budget. Spotty wifi is the bane of every traveller’s existence. If you’re planning on using a tablet or a computer but realize that everyone else’s Netflix is hogging the hotel or apartment’s wifi, you may want to consider using your phone’s data plan to set up a hot spot. This will require quite a large data plan, so if you’re considering this, getting a prepaid unlimited data plan is a good bet. One interesting element of Thai data plans is that you’re actually buying however many GBs of data at a certain speed. Once you use that up, you can still get access to data, but it’ll be throttled to 128kbps; so slow you’ll want to pull your hair out! Therefore, trying to ration your data is just good sense, especially if you only want to top up once during your time in Thailand. Whenever possible, connect to wifi networks provided by dining or shopping establishments near you or even mobile wifi zones enabled by your internet provider. Save data sucking activities, like video streaming (hello YouTube!) or Skype calls (hi, Mom and Dad) for wifi zones, and make sure that your phone is on ‘power saver mode,’ if possible. That will prevent apps from constantly refreshing and sucking data. Another good idea is to go into each application – preferably those that you don’t use often – and turning cellular data ‘off’ so that the application cannot be enabled without entering a wifi zone. One great thing about ‘pay as you go’ plans is that you’re never going to be surprised by an enormous bill- you’re simply going to run out of minutes or data or texts. Contact your plan provider’s customer service line to ensure that alerts are sent to your phone in English so that you know how much of your plan you have left or if there is any information you need to know about service coverage. If you have the provider’s app, you can also check plan levels and contact customer service there. Note the time and date that your plan is set to expire, as most have daily, weekly or monthly limits. As any traveler knows, it’s no fun to be caught without any way to communicate! Keeping your sim card active depends on what type of sim card you have. For prepaid tourist sim cards the general rule is that after a top up you have 30 days of validity. To check when your package expires, you can dial the following codes, based on your specific mobile provider. Extend your validity for up to 365 days, at a cost of 2 Baht per month. Conditions: Must activate SIM for at least 90 days or have usage of 200 THB. To contact a call center with questions or concerns about international roaming, a SIM card or activating or deactivating a data plan, here is a list of the major carrier customer support numbers. With these easy steps, you’re well on your way to exploring the beauty of Thailand, all while sharing it with those back home. Happy travels! I've got a fair bit of experience with sims, providers, plans and all things mobile in Thailand, so if you've got a question, leave it below and I'll answer it as best I can. Hi, Thank you for sharing your knowledge! This is very helpful. I will be in Thailand for 44 days - just over 7 weeks. I will be travelling the Islands, Bangkok and Chiang Mai. I will need to be able to text and facetime internationally as well as use various apps including Whatsap, Snapchat, Instagram, Facebook, Grab, Maps.Com and Life 360. What would be your recommendation for sim card and data package? Would you know if there is a sim card I can purchase that would cover the entire duration of my travel? Do you know if I would have to purchase a separate data package or is the data included with the sim card purchase? Thanking you in advance for your advice. First, pretty much all of the carriers will give you country-wide voice/text/data coverage so find one (dtac, True, or AIS) whose website you like the best. The reason for this is that each handles its prepaid plans differently - even though you're getting the same product - so you'll want one whose plans make sense to you. Not that that will be obvious when you first start. I use dtac so I'll talk from that. 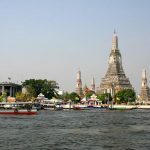 Prepaid in Thailand is different in that you don't buy a plan that covers all your needs you get a base plan - voice, text, and data - and then add options to that plan to make the data affordable and fast. UNDER NO CIRCUMSTANCE PAY THE BASE RATE FOR DATA. Period. You choose your data package based on anticipated use and speed requirements. You'll have to dig a bit to find the optimum plan as the stop at the top level tends to be pricey and slow compared to what you can find. Make sure you don't get an auto-renew plan. Plus the plans change all the time so what I used last November might not be available now. It's like a game. SMS is pretty affordable but I have problems receiving text/media from US numbers to my dtac number. Just get a regular SIM, the SIMs cost the same as a "tourist" SIM (49THB last time I looked) but you won't get stuck with a number that expires midway through your trip and the plans will be a bit cheaper. I usually spend 300-500 baht a week for all services. Since you're going to be data heavy look into a VPN if you don't already have one. You. Really. Want. A. VPN. I am actually connected to AIS Prepaid BAO-BAO PLAN (sorry i don't know the full name of the plan) something, it's a 1 mbps unlimited internet for 6 MONTHS for only 600 BAHT, take note, 6 MONTHS, if you just want to have spontaneous mobile data/internet connection and you're using applications for messaging/calling purposes, you can subscribe to this plan. its only for 600 BAHT, so basically 100 baht a month for 1MBPS internet, usually its not just 1 mbps its up to 4 mbps, I can even make HD calls to the Philippines using LINE. Hi did you need to add a data package to your prepaid BAO-BAO PLAN ? AIS advertises that they support the service so you should be able to make it work. Your APN may be the issue or it may be something on the network side. I'd suggest going to a store in a - I hate to say this - more upscale place than T-21, like Em or Paragon. I've not used AIS but dtac has a dedicated queue for English speakers in both so would assume AIS is the same. would you say your comments of 2017 are still valid? I went to all 3 stores (Nov 2018) and all of them only offer quite large data packages, like 2G minimum at around THB220. Coming from South Africa, those data bundles are cheap but I only need like 1Mb only per month. So if I can still purchase a SIM card and then extend it's validity and keep it topped up, that would sort me out. The sales people don't seem to aware of these options. See James' more recent comments. He provided an update not so long ago. Rudy, 1 MB or 1GB? I wouldn't think 1MB would even cover email and app background data.If 1 MB just pay-as-you-go. I think that would work out to less than a package.Otherwise it depends on how long you're going to be in Thailand. I don't use much data so I get the 400MB/wk Max-Speed plan from dtac. It's like 60THB+/-. I use the old * code to access it. They also have a monthly plan that's about what you described price-wise but I think is a 4GB plan.The reps in the store really don't have an idea as to the full offerings. I've always found prowling through the websites and apps to be the best way to find the bargains. I just got to Bangkok yesterday and found that a couple of things have changed with dtac's pre-paid services.First - The online offerings are pared way down. In the past you could dig around the website and find deals that were not in their easy-to-find pages. No more. The "*" codes have vanished from site and the website offers are mostly the high dollar auto-renew plans.Second - dtac's app (I'm on Android but imagine iOS is similar) is where all the action is now. It shows (easily) 20 times more prepaid options than the website which range in price from less than 10 THB on up with validity times from one day to a month. This is where you'll find all the 7-day plans useful for shhorter stay visitors.Third - the plans have gotten better and the prices have come down. The plan I used to get which was 1GB of 100Mbps data (through a "*" code) and cost 79THB a week has been "replaced" by a 2GB 100Mbps plan that costs 49THB a week. While I'm sure my old "*" code would work, why would I use it?The app also provides better account management than the web without all the one-time password nonsense. Thanks for the update James. 49THB is really cheap. It's almost worth getting that over some of the monthly packages. Hello, just moved to Bangkok with family. I have from employer a Truemove H subscription. Question : I need 4 SIM cards , for next 3 years mini, one for wife and 3 teenagers, all needing datas . Ideally like in France : one manager of the datas that can be the wife of course. Which provider/subscription do you advice ? Thanks for your answer. I have to say, you've got me on that one. I would just visit a true move store and discuss this with them. I have not heard of a deal like this before, so I am unsure if one exists. I already have a pay as you go Truemove micro sim. Do you know if I can get it swapped to a nano sim without losing my credit and be able to keep my existing phone number? Yes, if you go to a True store. I did this with DTAC, so should be possible with True. If it's an older SIM (one that isn't pre-cut with a nano shape) you can also take it to any mobile phone store and they can punch the nano SIM out of the micro SIM. Had to do that once a few years back and it worked great. No new SIM required. Hey Josh,Short answer is Yes: You have to have the SIM active for 90 days or have burned through 200 baht (which, as you know, is very easy). I think if you add a few hundred baht credit though you'll automatically get the 90 days validity. I'm not sure what the minimum is (maybe 300 Baht) so check with dtac on that. The Go Plearn SIM doesn't come with any credit so you'll have to add some anyway.Second thing is all dtac prepaid SIMs are the same, 49 Baht. What you get with the different SIMs is some default apps and default calling rates. Those are changeable if you want. I've found that the plan (SIM) you get should be driven by how you're planning on using the phone. I'm assuming your mom will be calling/texting rather than surfing the internet. Check out the other SIMs as well in terms of the call rate (MMS/SMS rates are the same regardless of SIM). For example, I've got a Super 4G SIM that I put a data package on so I don't have to pay the data rate. The call rate is broken down into seconds so a hypothetical 1 minute, 1 second call costs 1.005 Baht. That same call on the Go Plearn SIM is 1.38 because you pay by the minute. However calls shorter than a minute would be cheaper. Also look at the Gift SIM as it includes some free data for topping up which would give her some internet use and more speed than the Go Plearn along with calls being billed to the second.So, it doesn't matter where you start, Go Plearn or another SIM, you can always switch the main plan or add-on plans to get the features and cost you want. Hi,This is a bit off topic but I have a problem. I want to get a BKK phone number that can follow me around in the same way my US Skype number does. Neither Skype nor Google Talk supports Thai numbers so I'm SOL on that front. Has anybody come across a VOIP service (reasonably priced, of course) that might do the trick? I've looked into just forwarding my dtac prepaid cell number but so far I haven't been able to discover how. Thanks! Hmmm, a service like https://www.swytch.com/ would be ideal because it lets you port in numbers and manage them all through the app, but it's a UK app. Perhaps there is an app that would let you manage a US and Thai number in similar way. Dual SIM phone is another option, but then you would be receiving calls from your Thai number on a US provider when back home which would be expensive. Thanks! I'll have to look into Swytch and see if they have anything. There's a provider of VOIP services VOIP Thailand that can set me up with a number at about 1K Baht with a 200 THB monthly charge. I've got to get with them and see if it will work international or if it's restricted to Thailand. I've got a dual-SIM phone but the roaming fees are insane. I'll post back when I get it sorted in case anybody else is interested. One good thing about Thailand is that there's cell coverage everywhere so who you use as a provider is less important than it might be elsewhere. (I use dtac). I'm also not sure, as it isn't appropriate for my situation, if a tourist can get a 12-month plan, something equivalent to a standard post-paid plan elsewhere, without a "permanent" address in Thailand.Using dtac as an example, I have a regular pre-paid SIM (the tourist SIMs expire after a year, if I remember correctly) so I can keep the same number. I'll plan on spending about 250baht/week when I'm in Thailand which is more than enough to cover all my data, SMS/MMS, and voice needs. I get the major plan that allows the lowest cost voice/text and then add an add-on package for data. For me since I don't use much data I get a 400MB/wk high-speed plan for (earlier this month) 79baht. My partner, who is more of a data-user, gets a 1.5GB/month high-speed plan. Since you're there for a full year dtac also offers some 12-monthly auto-renew data plans that are even cheaper and/or offer more data.One thing to be aware of is that data plans in Thailand are priced by both total throughput and bandwidth. So it's possible to find two plans offering, say, 1GB/month but one will be throttled to 500KBPS and one will be 100MBPS. Plus, they change the plans fairly frequently so you've got to keep checking back to see if they've come up with anything new. Hi, I am relocating soon and I was wondering; how do the handset subsidy programs work? Do I pay in installments alongside my tariff? Something like this:http://www.ais.co.th/hotdeal/en/?intcid=getpage-en-header_menu-consumer_menu-postpaid_submenu1-movetoaisfamily_submenu2-hotdeal_submenu3Thanks! "how do the handset subsidy programs work? " Not to your advantage. Basically, you're just buying the handset over time. If you look at the Galaxy S9 you're paying (before VAT) THB 23,157 (US$735) while I can buy the same phone direct from Samsung for US$720. (It's not as favorably priced in GBP or AU$ so might be more cost equivalent.) It says it's 0% interest but basically the interest is built into the price at a rate of about 2.5%. And yes, you make a handset payment plus the package payment.That being said, the packages don't look too shabby. I use dtac pre-paid which costs me about 600THB/month but I don't get the WiFi access which would be nice from time-to-time. The other thing to watch for is the cost of messaging. It may not be included in the package. One of the reasons I like pre-paid is that your credit can go to messaging (which I use a lot) or calls (which I don't do so much of). So I don't end up paying for something I don't use.After a fair bit of research I've found that the best deals are for packages only with a handset you bring with you. (a local SIM is a one-time purchase of 50THB.) I'm not a full-time resident so the 12 month commitment doesn't make sense for me but tweaking the pre-paid packages provides excellent services for not a whole lot of money. i purchased a tourist sim. can i use this as my permanent sim, i think i might stay in thailand for a while. If from dtac, yes. You can do valididity extensions for up to a year at a time. Check out https://www.dtac.co.th/en/prepaid/products/tourist-packages.htmlIf you are planning on staying longer term - or travelling back frequently - I've found getting a regular SIM and keeping it active (2THB/month) is more economical. The tourist packages are not the most flexible way to buy mobile service and cost a bit more over the long term. As you'll see reading the comments, Thai mobile services are a whole different thing. Get a DTAC Happy Tourist SIM: (you can buy online and pickup at the airport when you land.) When you pick it up have them add a couple hundred Baht for texts (3 THB/ SMS, 5 THB/MMS) if you think you'll need more than 2.5GB of high speed data you can have them add an additional one-week high-speed package. Your total cost for the SIM and add-ons will probably be about US$15. Details at: https://www.dtac.co.th/en/prepaid/products/tourist-sim.html. Hi. I will be in Thailand for 17 days. Can I use WhatsApp with the DTAC tourist SIM card. I am planning to get the one for 299 bath.Thank you. Yes, you can use Whatsapp. You can use any app with your 2.5GB of data. Careful with YouTube videos though as these will burn through that data really fast. Try to connect to WIFI whenever possible. Get the dtac Happy tourist SIM 49 and then add the 799THB data plan. You can add credit at any dtac store or 7-11 if you need to up your minutes.https://www.dtac.co.th/en/prepaid/products/tourist-sim.htmlThere are other ways to do what you want for a bit less money but they'd all be more complicated. Mobile in Thailand is like going to a buffet with a million dishes on offer and nothing telling you exactly what is in any of them. But I think you figured that part out. Any sim card with an internet data plan should work. I've never heard of anyone not being able to tether, as long as the phone has the capability. Just a quick update on extending a dtac SIM expiration date. It's now possible to do online under the Jaidee Services tab. The call it Day Give-away and the price is the same 2THB/month extension. The nice thing is that you get an instant confirmation of the extension. Thanks James. I just had a look. That's pretty reasonable. I have no idea how long my sim would remain valid for. I get different answers whenever I go into the DTAC shop. I've had my number for years and the last lady said it would expire after 1 year if I didn't use it, but previously I've been told it would expire if I didn't load credit on to it after 6 months. Thanks for this information. My sim is registered but I've never logged in on the DTAC site to check its validity. Perhaps I should! I'll be living in Thailand for the next few years. I use less than 100 min/texts per month, and do not use much data at all. For the past 6 years I've just used a dtac prepaid SIM card since I did not have a smartphone. We'll be returning to Thailand next month with my first smartphone. Is it best to continue the prepaid route due to low usage, or is there a low-usage contract that you recommend? Hi Rose, now that you have a smartphone you may want to access the internet / receive emails on your phone, which requires a data plan rather than a standard plan that you would have had on previous visits. I'd suggest a pre-paid data plan, which is topped up each month. These start from around 200 Baht a month. If you like, you can leave your data setting off and simply carry on using a standard plan; but be careful because if your data is switched on it would begin using up all your credit very quickly. Call dtac for the latest deals. You can then top up the right amount and call them back to have it applied to your phone. Or, they will text you a code to enter into your phone to activate it. I find calling them easier. Also be sure to learn your way around your carrier's website. They are not straightforward at all and as TTL says this makes calling easier. But, the websites have all the promotion codes and I've found that those codes can save you a bunch of baht. When you find a code that fits your needs - save it. Even the limited time offers don't really have a time limit, just a limited amount of time they advertise them. The codes keep working so the next time they run the promotion they don't have to set up a new code. It's very Thai. Do the same with the special codes they text you. Sometimes they'll send a real gem. Hi to all!I guess the most important advice is missing: Get a dual-SIM phone! :-)Recently I had to grin (excuse my Schadenfreude please) when a friend of mine could not book his flight, because he had his Thai SIM card in his single-SIM Apple phone and MasterCard sent him some code he was to enter. So he had to shut down the phone, change the card to his European card, boot the phone again and receive that SMS. By that time the code had already expired... ;-) For calling the airline's customer service he had to do the same procedure again, of course, vice versa.After enabling roaming on my Thai mobile provider I am able to receive my Thai bank's texts even in Europe for free (I haven't tried voice, due to the presumely high roaming charges - but I am positive that it would work also fine). Hi Peter, will the Thai SIM work in any other countries we may visit, Laos, Vietnam or Cambodia? My DTAC sim still worked in border locations of Laos like Vientiane, but I wouldn't rely on that. It is best to just grab a local sim in whatever country you are in, or connect to WIFI if your phone has that capability. You can activate roaming via your SIM through a local provider. You will see a message pop up on your phone when inside the new country that offers you a package option. Richard,my TRUE prepaid SIM card works actually worldwide, but roaming must be activated! I don't have the code at hand, but you might google it up for yourself or ask customer service. Hi Tim, yes you can do that. I also face this issue. When I return to the UK and want to make a transaction through my Bangkok Bank account online, they send a security code to my Thai number. So I have to put my Thai sim card into my phone to receive the code. Hi,I've got a dual SIM phone which - in theory - should make this easier. But, I have never succeeded in getting the Thai (dtac) SIM to wake up while back in the States. Without an active SIM I can't dial the code that activates roaming on the dtac SIM. I had just written it off to the typical "C is required to do A but to get C make sure you bring your A when you go to apply" data flow I've encountered a few times now. Do you have to activate roaming before you leave Thailand and then just pay a daily fee when you use it or (as I find typically happens) am I looking at this the wrong way?Thanks! My SIM card is registered with DTAC in Thailand and they told me it will remain active for 1-year if I am outside of the country. When I am back in the UK and put the Thai SIM in, it automatically connects to whichever local network is the dominant one in the area I am in. I am then able to receive the code Bangkok Bank sends me when I make a transaction online. One thing you could try is to connect to WIFI on the phone, and see if the code comes through on that rather than on a 3g/4g network. Hi, thanks for the great article. However I was not able to locate the monthly data plan - 5 GB (488 THB/month), the best combination I can find online now is 49B dtac happy card with add-on package 799B/30days 9GB (before 7% VAT), could you kindly advise if this is the best I could get? They do change packages regularly. Call DTAC from your phone on 1678 for the best and latest options. They have a monthly package that gives you 4GB for around 299 Baht. Hi, I recently uncovered a really useful service if you need to top up your (or someone else's) phone when you're not in Thailand. It's called MobileTopup.com. I use dtac and their online service doesn't work from overseas (unless you activate roaming so you can get the SMS code). Mobiletopup works like walking into a 7-11. You give them 100baht and your phone gets credited with 100baht. It happens fast and if there's a problem with the automated top up, they keep trying it manually. The other services I've tried hit you with a service fee along with making you (at least for the US) pay in your local currency. Sid,Prepaid in Thailand doesn't work the same as in the US. It's a much more granular service - think in terms of Days, Weeks, AND Months - coupled with the amount of money in your account being a wallet rather than payment for service. You put money in, choose your service, and go. This is good and bad. The good being: you're free to choose between an insanely large group of services and not get trapped into a plan that works best for the provider. Plus the providers are always changing services and running specials so you can hop from one to another as your needs evolve. The bad is: there are an insane number of choices and you've got to understand which does what better. It takes some getting used to.My suggestion would be to pick a provider, follow TTLs advice to leave the airport. If you have Thai friends get one of them to get you a SIM at a 7-11. Put 300 baht on your phone and visit the website and review all the plans. (I chose a cheap voice/text plan with slow data, my partner is an internet junkie so she has a slightly more expensive voice/text service that gives her free social media access and higher speed data). When it gets to be time to top up, make sure you do so when a promotion is active so you'll get more/better service for the same price (faster data, bonus time, stuff like that).If you need to call home right away from the airport, your best (and cheapest) bet is Skype. Hmm, strange. Dial 1331 from your phone for customer service and see what they say. They can activate it for you over the phone if it hasn't gone through. Hi Wayne, please see this post and the latest comments from recent experiences. Hi David,Welcome on board.I had to delete your personal details from the comment due to site rules (you don't want people calling you from all over the world :)). When you move to Thailand with a retirement / other long-term visa, you can get a monthly plan billable plan. They start at around 400 Baht and go up to 1,500 Baht depending on your usage requirements. If you open a Thai bank account they can take the money by direct debit each month, or you can pay at 7-11 or a provider shop or kiosk. Great information! And I have to agree that getting a Thai SIM card is really the only way to go, even if you are just visiting for a few weeks.I got my first Thai SIM card on one of my visits back in 2003 after I got fed up with having to use (or trying to use) Thai pay phones or hotel room phones every time I wanted to call someone in Thailand. I actually purchased my Thai Orange SIM card online from a company called Telestial in advance of my trip because I wanted to have a Thai phone number to give to everyone I knew, both in Thailand and the States, before I even left the country (unfortunately today they only sell generic international SIM cards and the prices seem to be almost as high as international roaming in some cases). Of course, this also entailed purchasing a second phone, as most cell phones in the USA at the time (including mine) were CDMA or TDMA while most of the rest of the world, including Thailand, were using GSM networks. And it doesn’t really matter if your phone is unlocked or not if you are using a different frequency, and, or, format than the networks in the country you are visiting. Not to mention the fact that many phones in the USA did not even use removable SIM cards to store the phones network registration data back then.Fortunately today this is no longer an issue however and pretty much any unlocked phone will work. Also, as you mentioned above, some service providers will unlock your phones for you these days. Ten years ago when I was still working in the industry no service providers would ever even dream of unlocking your phone for you. The reason for this of course is that they would all subsidize the phones (thus the term “subsidy lock”). In other words, they would sell them to the customer for much less than cost. And naturally they didn’t want to take such a big loss on the phone just to have you cancel your service and turn around and use the equipment with another service provider. This is also why you always used to have to have a contract and would have to pay penalties for canceling it early. Anyway, back then you either had to pay 2 or 3 times more to buy an unlocked phone online or you had to pay some shady character who had the computer software and know-how to unlock your existing phone for you.By the way, after that first Thai phone I got to like using prepaid plans (pay as you go) so much that I now use a prepaid SIM here in the USA. I had never considered prepaid prior to getting my Thai cell phone because in the USA at the time there was a real stigma associated with prepaid phones. This was due to the fact that the only people who used them where those who had such a pathetically low credit score that they could not even qualify to get a regular cell phone plan. And today of course the so-called “burner” phones (prepaid phones that are meant to be used for a short time and then disposed of) are associated with criminals. All I know though is that I like not getting any surprises in the form of a huge bill due to overages. And if I ever have any kids and I have to buy them a phone it will DEFINITELY be a prepaid. That way if they go over their limit they will just be S.O.L. until the next month - or until they get a job and can pay for their own phones. Ah yes, the days when unlocked phones were more expensive. But even now some providers in the UK charge an unlocking fee; though increasingly you can purchase already unlocked phones. I still use prepaid per month in Thailand, rather than a monthly contract. It works out cheaper for me as I don't used more than 5GB of data and don't make many calls at all -- most are over WIFI. I probably pay about 500 Baht per month in all.